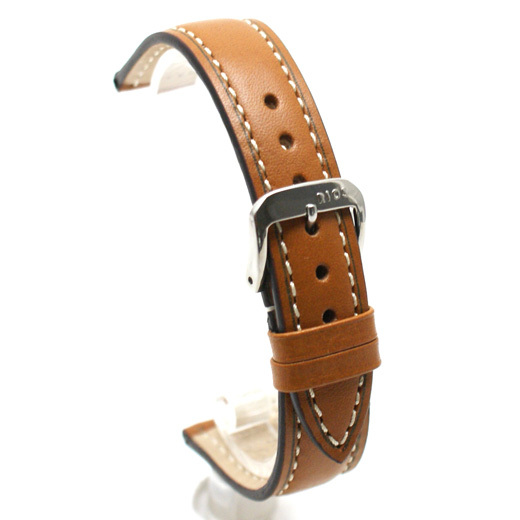 Finest Quality, hand made in Germany using a 172 step production process and with a keen attention to detail, this honey brown watch strap is made from Russia leather with off white stitching. 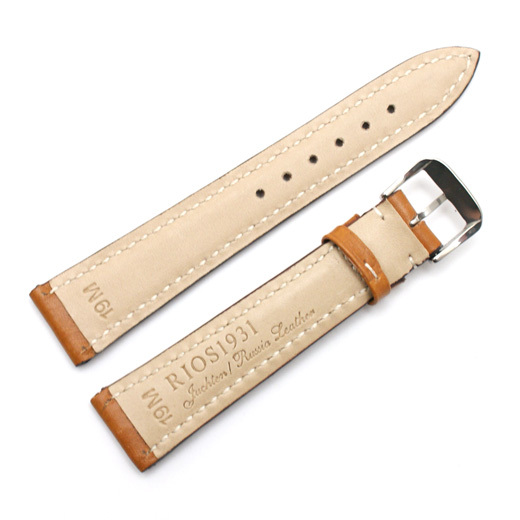 Please note: As you will see from the photographs, there is a dark line cut into this strap near the stitching or at the lugs. 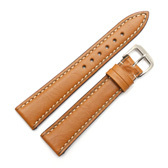 This is not a fault, it is part of the strap design.